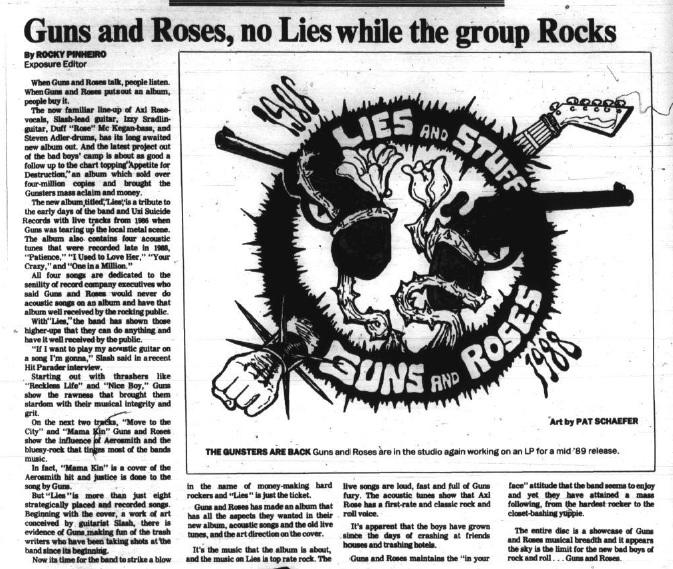 While going through old newspapers I came across this review of GN'R Lies from 1989. ANyone seen this artwork before? Re: GN'R Lies alternate artwork? Uhm, I just saw that it read, "Art by Pat Schaefer". But did the newspaper make their own artwork for the review? Good question. I can imagine it being a design considered for the artwork.